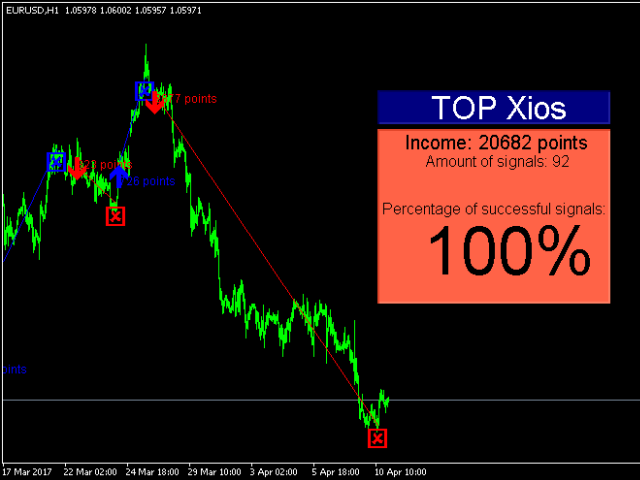 TOP Xios is a ready-made trading system, which provides the trader with signals for opening and closing deals. The information panel in the right corner of the screen shows the total number of signals, the number of points in profit or loss and the percentage of valid and false signals. 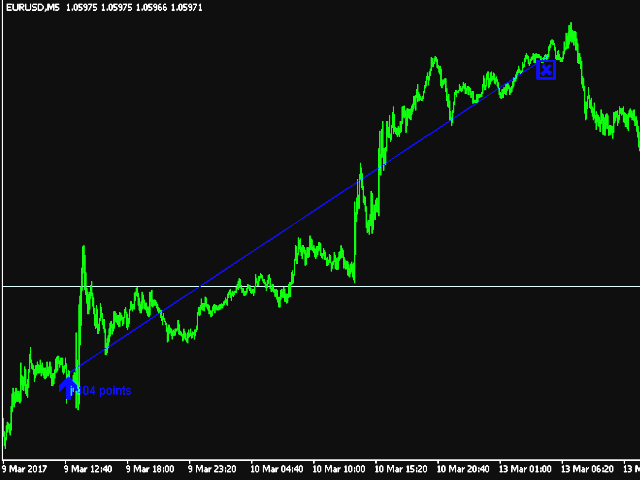 Working with this indicator is very simple. As soon as a blue arrow appears, open a buy deal and wait for a red cross to appear, which indicates the necessity to close the deal. When a red arrow appears, open a sell deal. Close it when a red arrow appears. 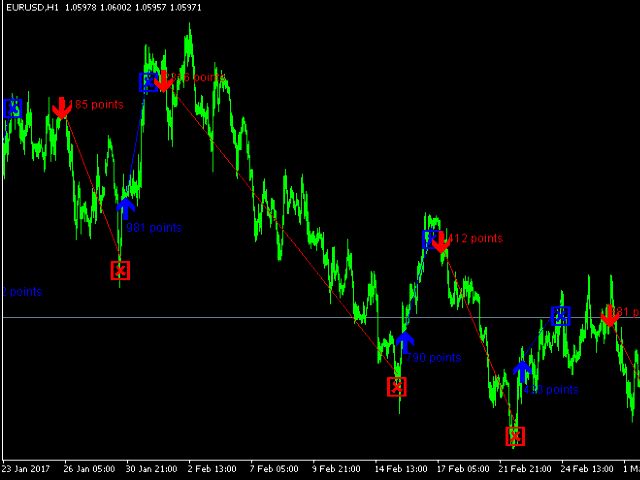 The indicator also displays the potential profit/loss in points near every signal arrow. This information is not accurate, as it does not consider the broker's spread and swap, but it shows the trader the approximate potential of his trading operations. generates signals on new bars. shows the trader the signals for opening and closing deals. 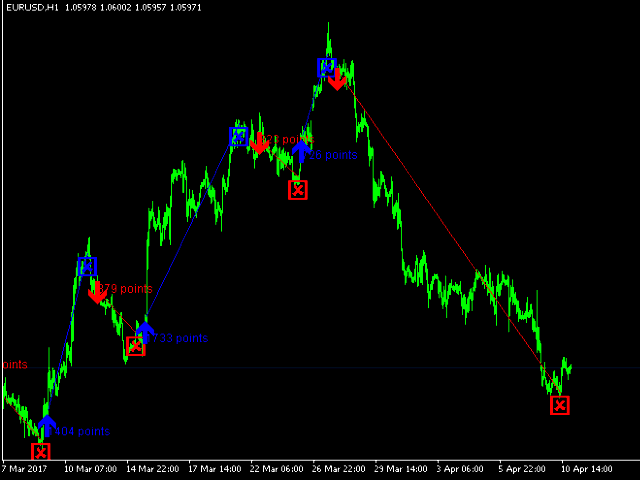 works on any timeframe and any currency pair. bars - the number of bars for the indicator to work. info - displays the information panel.